Assigned the management of a languishing retail center that had tenants not paying on time, landlord/tenant legal disputes, deferred maintenance including an old roof and very little cash flow. Currently have added national credit tenant, replaced the roof and repaired deferred maintenance. The property is cash flowing with 100% of payments on time. The property is full and we were able to generate enough capital for a new roof, parking lot repairs and paint and lighting is just around the corner. Removed all non performing tenants, rehabbed the vacant units. Cooperated in leasing out the entire park. Currently have 95.5% occupancy. All tenants are current. The property has strong cash flow. Just repair a major portion of the concrete driveway. Roof and Painting should be funded shortly and ownership has gone from having to subsidize projects on the property to cash flow with a regular monthly draw. 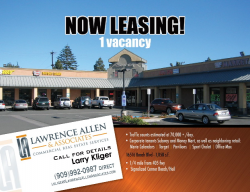 Assigned to manage a retail/office building with 1/3 retail vacancy and additional 16% non performing retail tenancy. Homeless issues along with surrounding apartment residents using the center’s parking as their own creating an untenable situation for patrons and tenants alike. We negotiated a lease with the non performing tenant to create a situation that allowed the tenant to reset their lease in good standing, payoff their in arrears debt in a situation that is enforceable. Removed the homeless through intensive short security enforcement and through communication and enforcement freed up 20% of the parking formerly usurped by neighbors. The results included the attraction of new tenants to both office and retail and increasing profits on the property. Owner/User Representative - Our client, a manufacturer, had an environmental issue and the remediation and legal fight that ensued created a cash deficit for the company. Looking for a means to dig out of a whole we explored refinancing the building, owned outright, and came up with a scenario to sell the building to an investor reinvest, shrink the footprint of the building, giving the investor upside in rents by creating a multi-tenant building, and most importantly, infusing the company with capital from it’s own equity reserves. The results, the company was able to, with the capital infusion, survive the economic downturn, pivot it’s business focus and once again, generate healthy profits. Our client’s business was being acquired and the real estate needed a solution. An industrial building with metal construction and excess land was not a fit for the surrounding newer industrial area. 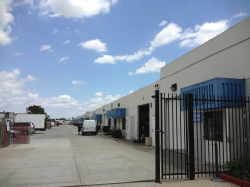 We repositioned the property to maximize the sales value as a redevelopment opportunity. Sold the property to developers with a hand in created two more modern buildings. Our client was able to capture more in equity than anticipated as it sold the business, creating a bigger windfall than ever calculated before selling the business. assigned by owner to sell a property currently with negative equity. Seller’s bank proposed short selling the building. 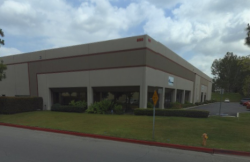 We used our market expertise to position the building for sale and to hold off creditors We sold the property to a national credit manufacturer for a maximum per foot price and minimized the losses of the Sellers. Saved the Buyer over $1 million in deficit from the proposed bank sale. The Bank and the Seller were both made better from our performance.